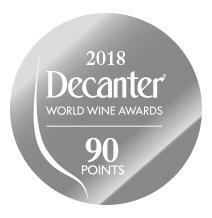 Decanter World Wine Awards 2018 rated 90 (o/f 100 – silver medal) our 2015 vintage. A great reward… for a great wine! Cheers!